November 3, 2017 45 Comments This post may contain affiliate links. Y’all, these yogurts are yummy. Anything lemon makes me happy and then eating out of this cute little jar just makes me feel like a fancy French lady. For real, there is something different about scooping spoonful of yogurt from a fancy dish verses plastic. A lot of food is like that, it tastes different based on the way you serve it, but I digress. 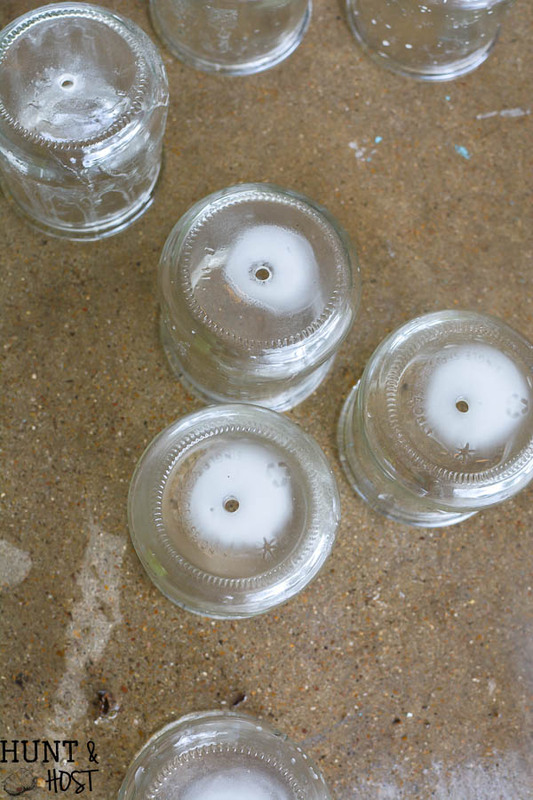 After finishing my treat it just feels wrong to waste the little jars (hello…recycle) so I came up with a DIY rain chain because I have wanted a rain chain for a long time. Two birds, one stone my friends! Here is a supply list (with affiliate links so you can shop easily, this means should you make a purchase I might receive a small commission. Your price stays the same. Thank you) because there is one item you have to have for this project and that is the correct drill bit. 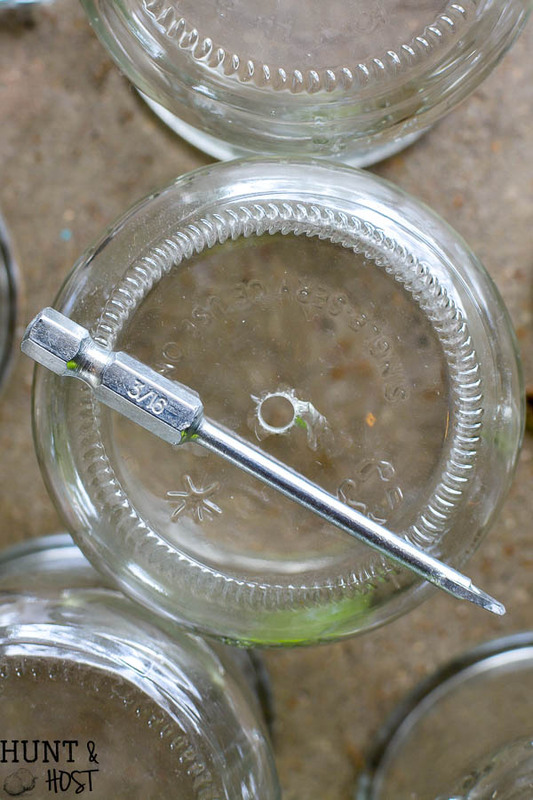 Start by drilling a hole in the bottom of your yogurt jar with a glass drill bit. This type of drill bit works best with a wet surface, so keep a glass of water close by and pour some water on the jar before drilling. I turned my jar upside down for easy access and the inverted bottom hold water well. USE CAUTION on this step! Where eye protection and gloves, you do not want to press hard as you drill, you will rick breaking the jar. Let the drill bit do the work, softly working it till it goes through. 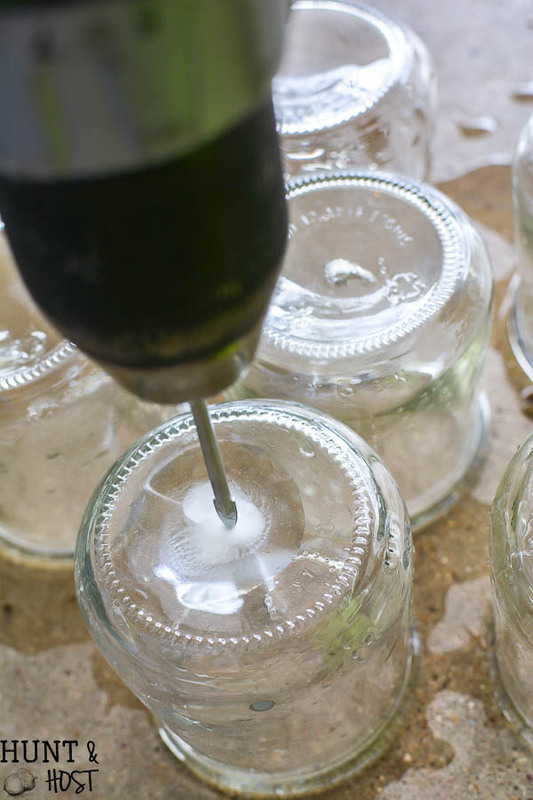 Once you have drilled however many jars you want your rain chain to be (I used 7) you will need to clip equal lengths of chain to go in between the jars plus longer pieces for the top and bottom. 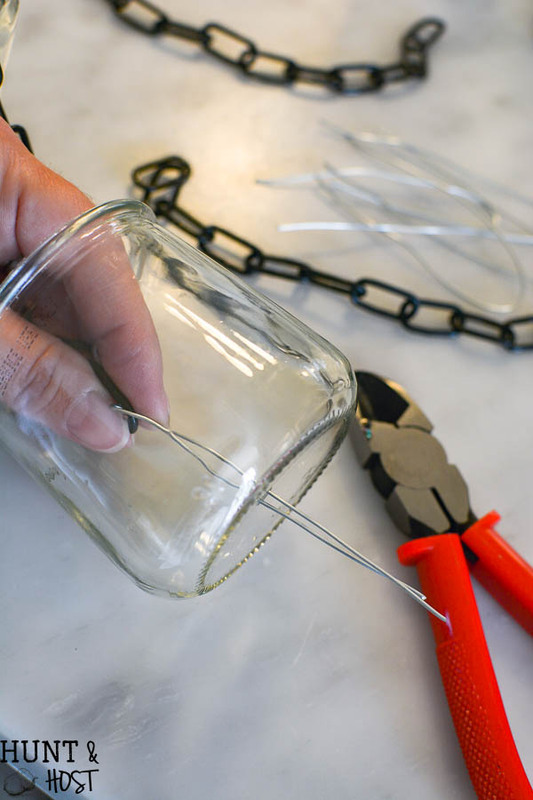 Thread your wire through the bottom loop of one chain, through the top of the Oui jar and then through the top of the next chain. Using pliers twist the attachment wire closed as tightly and neatly as possible, then clip it short enough to be secure. Keep going until all are connected. 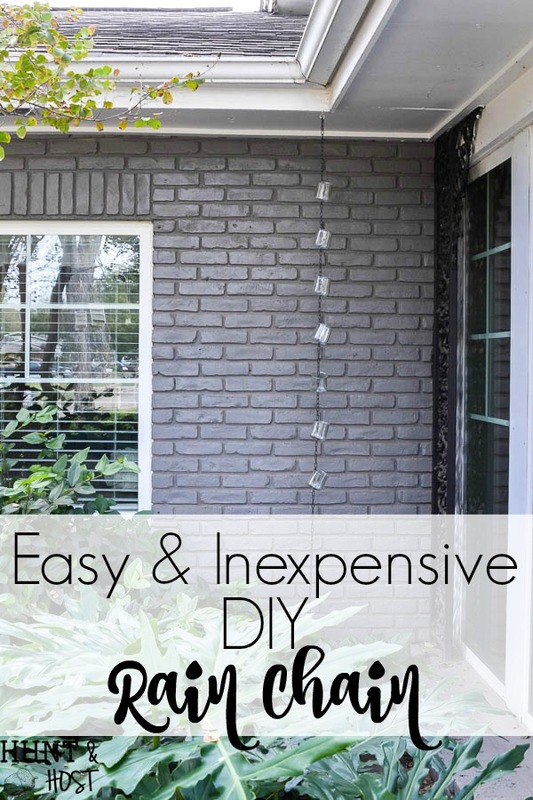 Now you will want to hang your rain chain in a spot you need a downspout or if you just want a pretty view hang it where the rain can readily reach the rain chain! 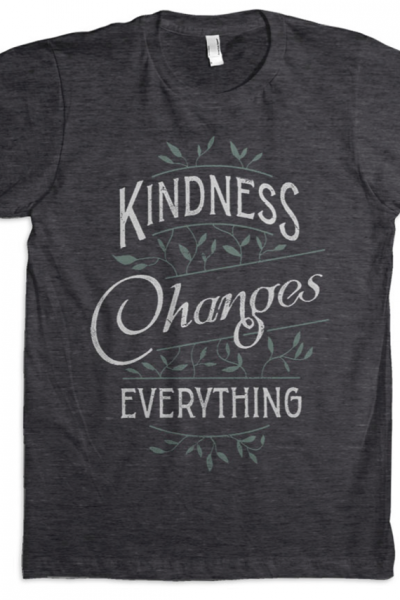 Pretty simple and very beautiful. I used a screwed cup hook to hang the top from our eve. 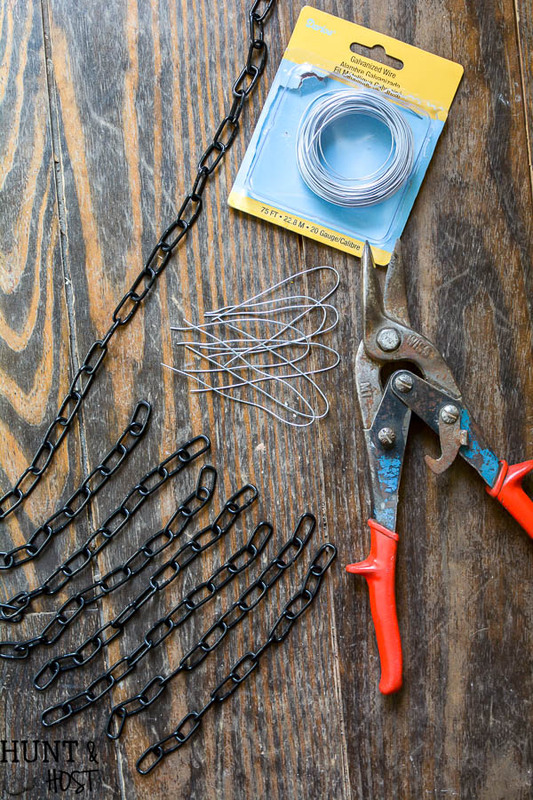 You will want to secure the bottom length of chain so it doesn’t blow around and break. I used a grass staple to pin the chain into the dirt below our chain. I have never drilled through glass…. scary! you have to be careful, but with the right bit it is pretty easy! What type of bit would you recommend? 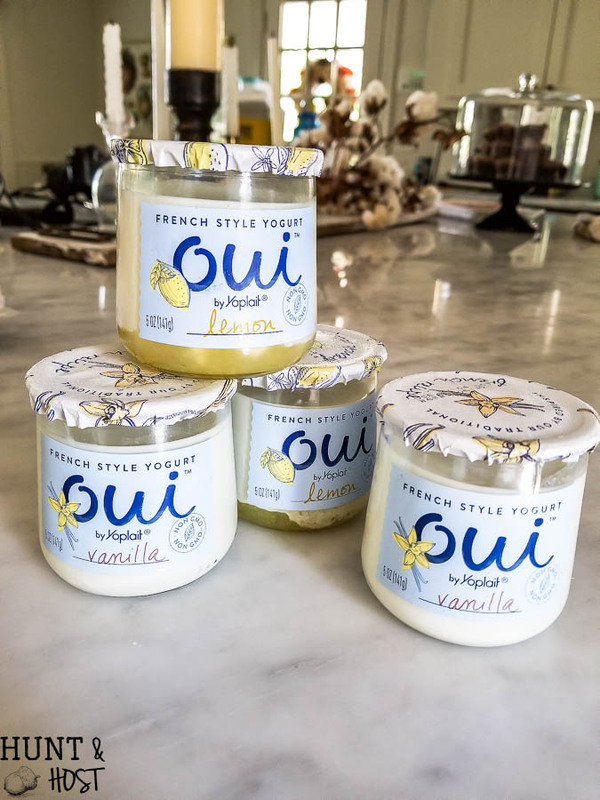 Oui jars are also great as candle holders! it has to be a glass drill bit, no brand in particular, there is a link to grab one on amazon if you want! This is so great Kim! Such a clever idea!!! Did I miss how to get the label off the jar? Does a razor work? I just peeled mine off BEFORE I ran them through the dishwasher and they came off pretty easily. Any residual glue can be removed with a goo gone type product. I know the other girls had some other solutions for label remover, but I didn’t have a hard time with mine, but I think removing before the heat of washing them helped! Thank You! Will give it a try. I’ll need to eat more yogurt soon! As crazy as it sounds, Peanut Butter works really well to remove the residual glue. Just rub a little bit into the area and let it sit for a few minutes and wipe it off with a paper towel. Viola! Any ideas on removing the labels? yes – I actually peeled mine off first, before I washed them or ran them through the dishwasher and seemed to have no problem. I always think Goo Gone is great for any residual adhesive that might remain. hope that helps! yes I agree on both ideas! you can do it, be careful and don’t press to hard, let the drill do the work and you will do great! I just discovered this yogurt and love it!! I’ve been saving the jars for any future projects and these projects are awesome!! I use a steel wool scrubber to rub the residue off once the label is removed. It’s not difficult at all. 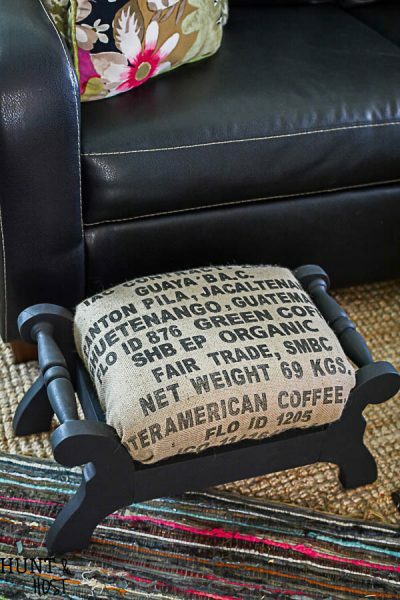 Love these ideas!!! great idea for the label, hope you come up with some cute projects, these jars are great!!! I’d love to see a quick video of how it looks when it’s raining. I would too! If it rains so I will definitely do that!!! Thanks for sharing! I bought the yogurt because I loved the jars…so needless to say, I love both now and have a collection!!! Such wonderful ideas to put them to use!!! ???? 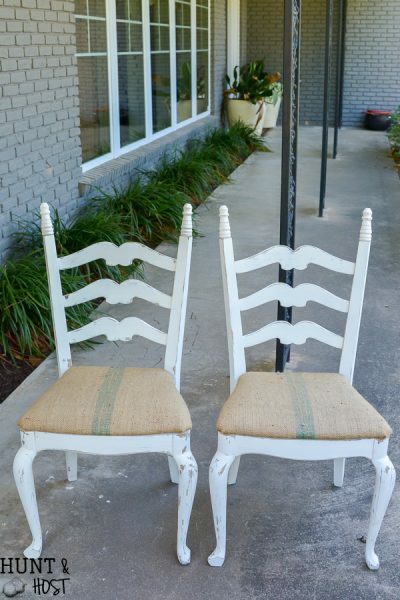 They are so good and now I am racking my brain for some more upcycle ideas! This is a fun idea! I’m trying to get to your other 4 ideas but can’t locate them. Please help ???? thank you! The other ideas are from my friends and their blogs are listed above in green, you can click on the blog names to check out the other ideas! Hope that helps! wow! 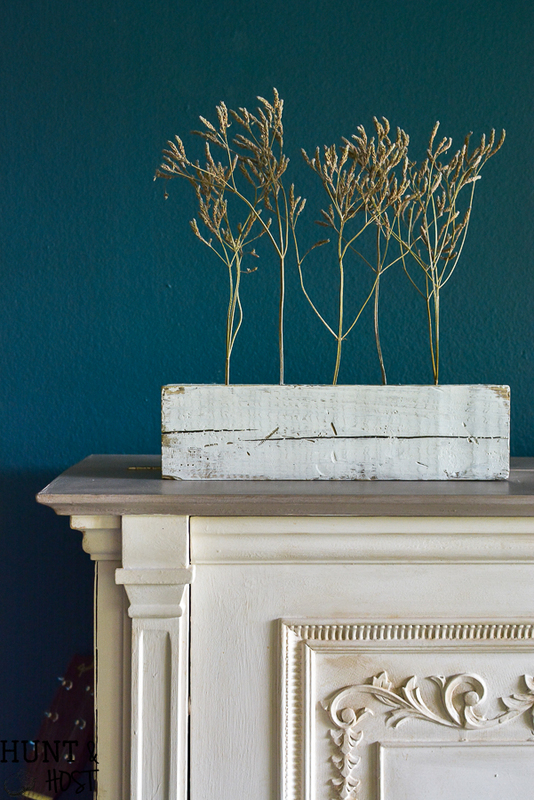 I would try Facebook marketplace or maybe Craigslist to sell them locally, advertise them as great inexpensive centerpiece options for wedding or party decor! Someone might need a cost effective idea for their wedding! The labels on my you jars are painted on. What can I use to remove them? You can soak them and peel or try Goo Gone maybe! Does the glass drill bit work with any drill? As long as the attachment is correct, it doesn’t take special pressure or anything in fact dont UAE a ton of pressure let the drill do the work! Love getting bang for my bucks and this would be one – thanks for sharing ! me too, best thing ever! 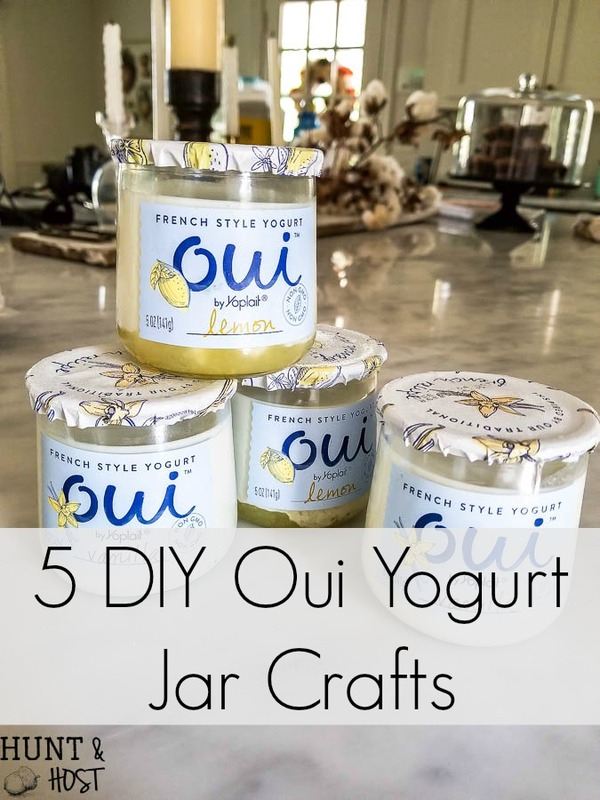 I love Oui lemon yogurt too and save the jars for small flower arrangements. 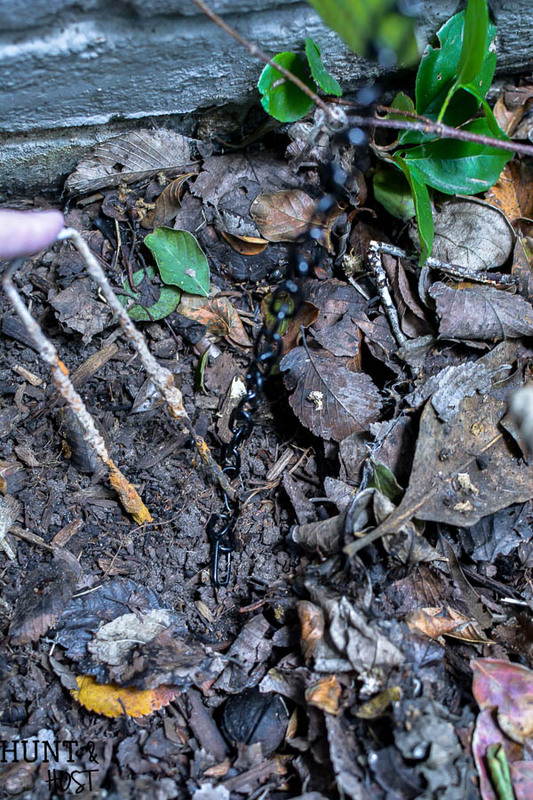 However, I have a concern about using them as a rain chain if you don’t turn them upside down….if they collect water, they will also collect mosquito eggs. they have a hole drilled in the bottom, so they don’t collect water! How did they hold up in weather? 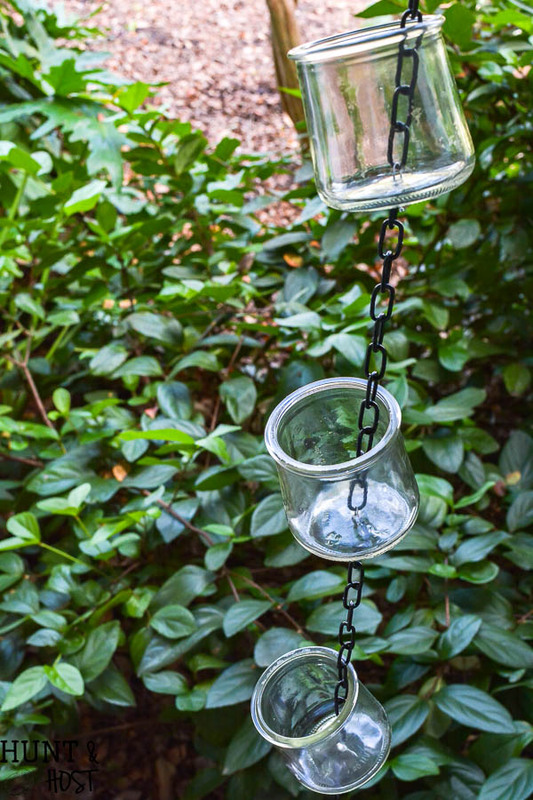 I lover this idea…I’ve always wanted a rain chain…I haven’t tried this yogurt but will now just for the bottles…I am thinking a spray painting them gold or copper. The rain chain is beautiful!! I love this idea. I have been saving these yogurt jars for over a year — lots of crafting ideas come to mind but I can’t post my pictures unfortunately. To successfully remove the labels just fill the empty jar with hot hot waterr, let it sit a few minutes, dump the water and the label peels right off, with minimal residue. I have used these jars for individual desserts like mousse or mini cheese cakes. My favorite remake is pincushions, and if I can figure out how to post pictures, I’ll show how I do it and the finished ones! 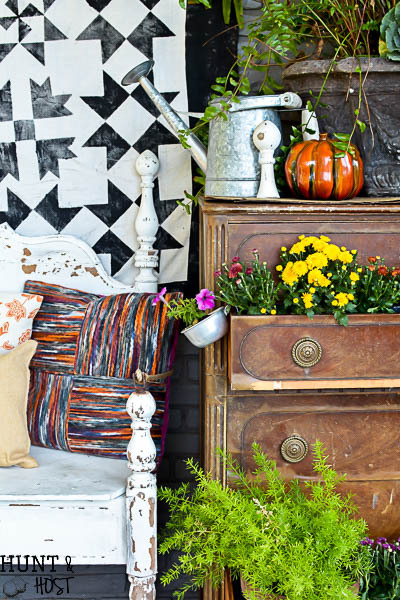 But my next project will definitely be a rain chain! great tip and I’d love to see your projects, they are fun little jars to work with!!! Very clever idea. I hadn’t seen this kind of yogurt, and 95% of all commercially available yogurts have corn starch added. I had to go see if these did (no.) I’m going to have to go looking for these! I can’t find were to get to the 5 jar crafts for these little jars? ?